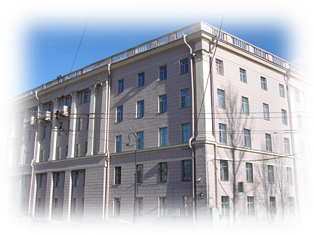 The State Research Navigation-Hydrographic Institute (GNINGI) was established by the order of the Navy People's Commissar on March 10, 1939. In the Soviet times it was engaged in the problems of creating the technical means and facilities of navigation, hydrography, marine cartography and hydrometeorology, as well as in development of methods of navigation-hydrographic support for the Navy activities and general navigation. In 1984, the Institute was awarded with the Order of the Red Banner of Labour for achievements in its activities. The Institute has the Dissertation Council for the Candidate's and Doctor's theses that is active since 1988. Beginning from 1995 the journal "Navigation and Hydrography" is published. The large-scale changes of the recent decades introduced corrections in the trends of Institute's activities and set new tasks for it. By the decree of the RF Government, GNINGI was appointed to be the leading research organization of Russia responsible for substantiation and development of the technical policy in the sphere of navigation, hydrography, marine cartography, oceanographic support for the maritime defence and economic activities. At present, the staff of GNINGI includes about 250 employees, among them 18 Doctors of Sciences and 27 Candidates of Sciences; five employees are Laureates of the RF Government Prizes in the sphere of science and technology. Since 2018 the Institute works under the guidance of the Director General Vladimir A. Titlyanov. On June 15, 2008, according to the Decree of the Russian Federation President, the Institute was transformed into the "GNINGI" JSC and included into the subholding "Remvooruzheniye" JSC.